SeamSAFE has introduced a new d-ring for the company’s standing seam roof anchors. The roll-out of the upgraded d-ring follows the latest testing that certifies the anchor’s capability to support 10,520 pounds of weight. This is more than double the weight-bearing strength of competitive anchor products. 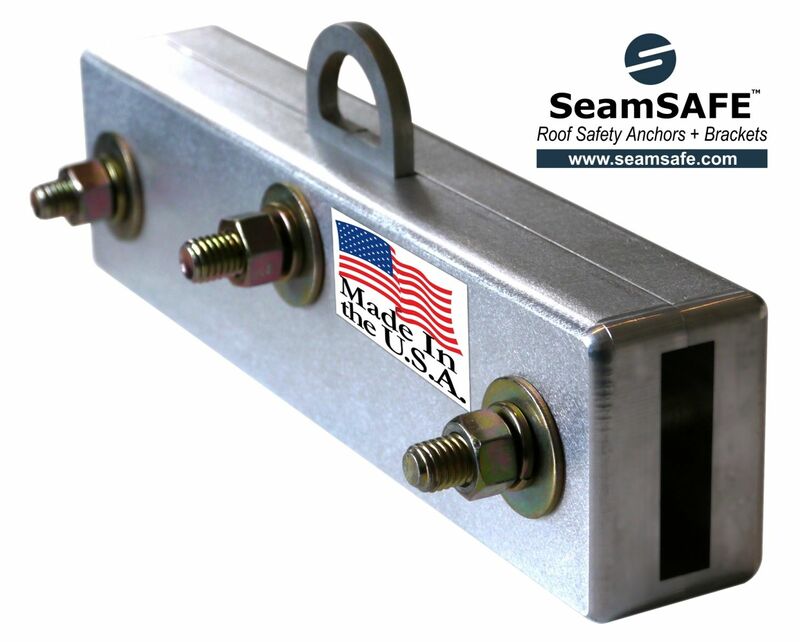 Previously, SeamSAFE anchors were certified to support 5,000 pounds. While the latest testing demonstrates that SeamSAFE roof anchors support 10,520 pounds, the load is likely more. According to SeamSAFE inventor and owner Doug Mullins, the testing and certification facility did not have additional weight on hand to determine SeamSAFE’s ultimate load. The new certification positions SeamSAFE anchors as best-in-class for holding strength. Following is a comparison of device load capability for leading anchors on the market. 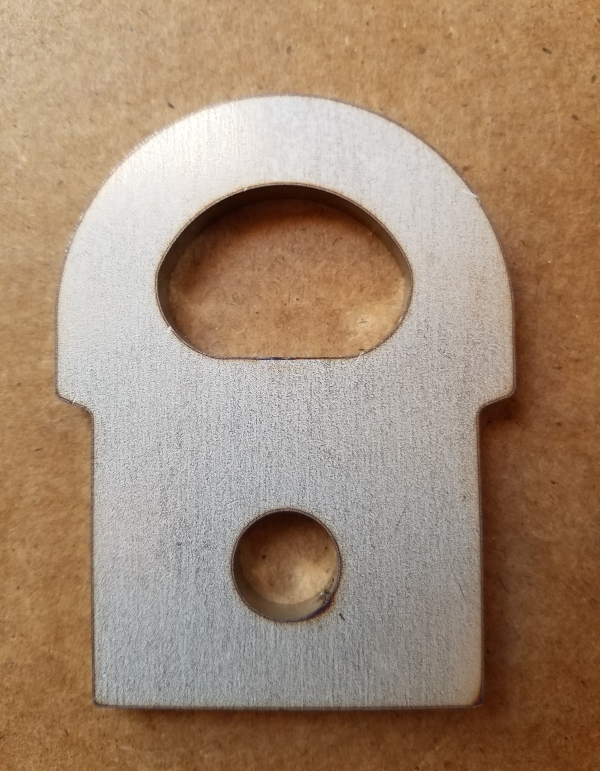 After testing, Mr. Mullins developed the enhanced d-ring to accommodate the newly certified holding strength of SeamSAFE anchors. The updated d-ring, comprised of quarter-inch stainless steel, is now included in all anchor purchases. Roofers using anchors with the original d-ring may contact SeamSAFE at 855-263-1521 to receive the new d-ring at no charge. The change in d-ring will accommodate a load increase from 5,000 to 10,520 pounds. The anchor works by separating the metal blocks, fitting them over the standing seam, and then torquing the bolts to 60 foot pounds with a box-end wrench. Single-wrench installation takes under a minute to complete. In addition to more than double the weight-load capacity of other anchors, SeamSAFE anchors feature twice the holding surface. They are lightweight, easily transported and feature a low-profile. SeamSAFE anchors function on a temporary or permanent basis. In addition to roofer fall protection, the anchors are used to attach solar panels, roof jacks, ladders and other devices to standing seam metal roofs. When fitted with SeamSAFE Mounting Adapters, the anchors safely secure heavy equipment such as HVAC units, satellite dishes, handrail systems, industrial piping, and other rooftop equipment. For more information, visit www.SeamSAFE.com or contact Mr. Mullins directly at 855-263-1521 or by email.